How much does CDPAP pay? The exact rate depends on your New York county. CDPAP caregivers can work up to 60 weekly hours if approved by the patient’s insurance. How do CDPAP payments work? You get care. They get paid. You both get peace of mind. With CDPAP by FreedomCare, your loved ones can get paid to care for you — and spend more time bringing you joy. I’m an entrepreneur. Being there for my mom did not allow me to generate the income I needed, so getting financial assistance while taking care of her is a win-win. My father's illness required me to leave my professional job. It was reassuring to know that I can care for my father and get compensated for it. Hours are completely flexible, so your loved one can coordinate with you to make a schedule that works for both. No certifications; no prior training. All that’s required is a capable person who wants to care for someone they love. Who has time for in-person office visits? To register, just send us all required documents from the comfort of your home. Your CDPAP caregivers get paid immediately + effortlessly. Guaranteed. Tired of filling out papers by hand? Tired of dropping off timesheets? Tired of dealing with mistakes — then waiting weeks for corrected payments to arrive? weekly automated compensation, painlessly and fast. oops, there are only 2 steps! 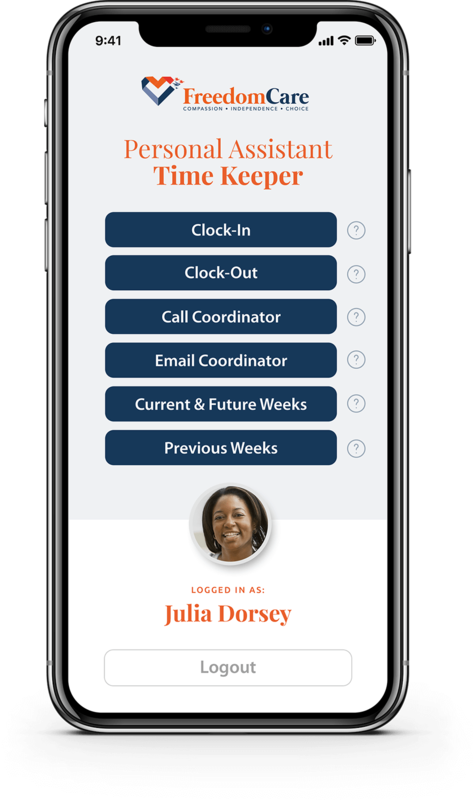 Using our custom app, caregivers clock in and out with the touch of a button. I don’t have to drop off timesheets. Everything is online. It’s simple and user-friendly. The stress-free system allows me to clock in and out from my cellphone. It’s just easy. I can clock in from various locations. If I’m out with my mom, I don’t have the anxiety of not being able to clock in — and losing my paycheck. Is your caregiver having trouble clocking in? Just give us a call. We’re here for you. Our CDPAP payments are delightfully automated, but our staff is delightfully human. and resolve any hitches along the way. The representatives are so kind. They guided me through the process. When I call the team at FreedomCare, I get help to the max. Speak to a person within seconds. Always. Our average wait time is 7 seconds. That means you’re guaranteed a friendly, professional, and helpful response anytime you call our office. If your assigned coordinator is unavailable, you’ll get the help of a back-up staff member. You will always get the help you need. Got a question or concern? You’ll get your coordinator on the phone immediately. We think issues should be resolved, pronto. It’s that simple. Life can be tough. You need to be around people who are just plain nice. Our staff members are known to make happy birthday calls, well-wishes, or simply drop off your caregiver’s check if they need it now. 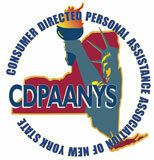 Call us now on 718.989.9768 to learn more about CDPAP. Or fill out this form and you'll be contacted by one of our representatives that same business day.